How do Philadelphia HOAs handle rickety vehicles parked in front of owners’ properties? While it’s true that not every resident will own a new car, especially in Philadelphia, unsightly vehicles create unnecessary nuisance in the condominium development. Safeguarding residents' interests and property values are the responsibility of the board. The question is; how do you resolve this issue without creating bad blood? Be sure to have a written, board-approved vehicle policy. This will provide a legal backing in the event where a resident thinks towing their vehicle is unlawful. All residents must be mandated to register their cars with you, making it easy to track vehicle owners and identify unauthorized vehicles. This allows you to determine vehicles with expired tags so that HOA owners can be given a notice that informs them to renew to avoid towing. Make sure your CC&Rs clearly state the process of towing to avoid surprising an owner. Ensure that every towed vehicle is photographed and properly documented. 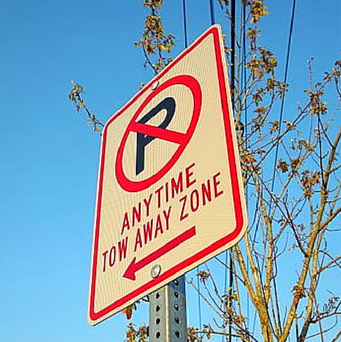 It's more lenient to tow a vehicle than fining a resident and forcing them to pay by placing a lien on their property. A Philadelphia HOA association manager once towed a flat-tired vehicle which had not been moved for a long time, and the owner failed to respond to several notices. It turned out the owner was deployed to Afghanistan as part of the Army Reserves. Finally, you might want to hire a Philadelphia property manager. They will help you handle several administrative functions that will unburden your slate.